It’s good to know there is a full service maternity hospital near you. The Greene County General Hospital labor and delivery department is ready when you are, with experienced nurses and doctors and a host of amenities to help make your first special days together comfortable. 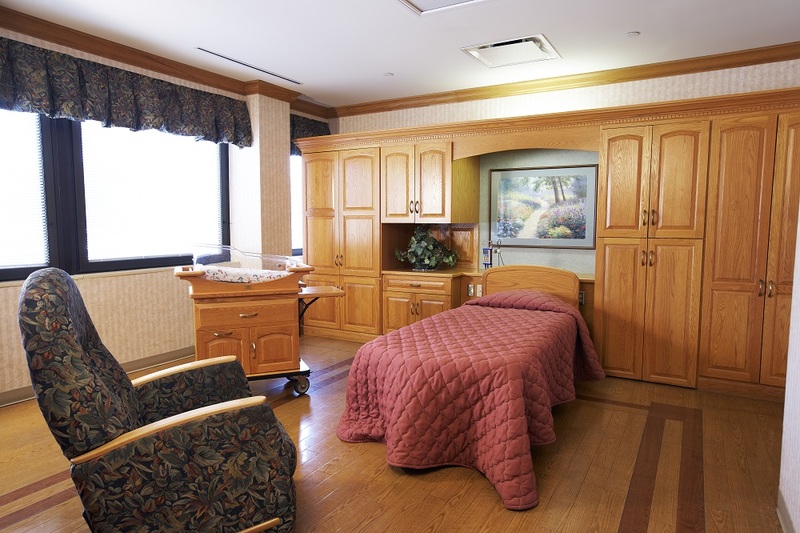 Private rooms ensure plenty of bonding time, and Certified Lactation Consultants will help make sure you and baby get all the benefits of breastfeeding from the very beginning. From labor to recovery, My Clinics and Greene County General Hospital will be there to help you and your new baby start strong. My Linton Clinic Women’s Health Center offers two, board-certified OB-GYNs, Dr. Douglas Lawson and Dr. Youssef Rezk. Women’s Health Center, located at 1210 N. 1000 W. Linton, IN 47441 812-846-3304, is taking new patients today! 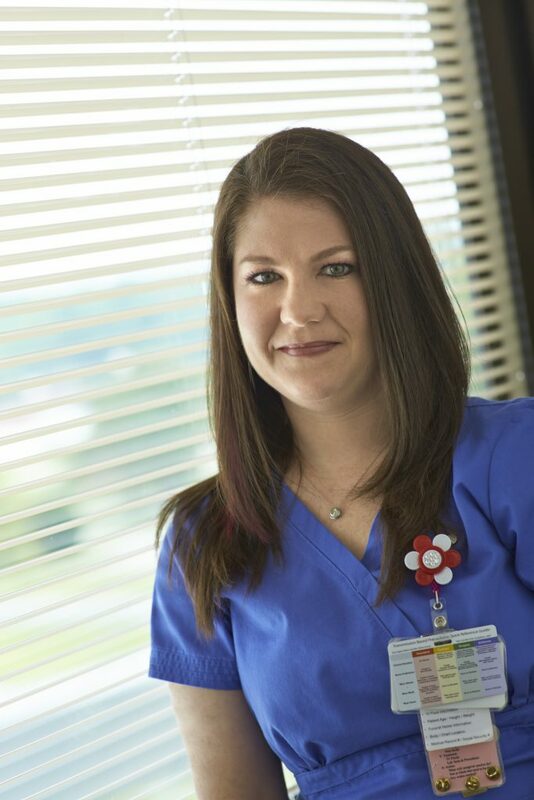 Tracy Blanton, RN, is an Internationally Board Certified Lactation Consultant®. Greene County General Hospital is proud to offer Certified Lactation Consultants to new mothers. Breastfeeding tips, positions, and benefits are always available when you deliver with our experienced labor and delivery nurses. New mothers can work with maternity nurses who have a passion for breastfeeding and clinical certification to help manage this important new activity. The Hospital even boasts an Internationally Certified consultant. 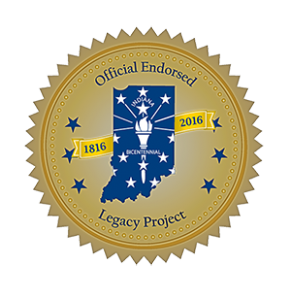 An IBCLC® is certified by the International Board of Lactation Consultant Examiners® (IBLCE®), independently accredited by the National Commission for Certifying Agencies (NCCA) of the Institute for Credentialing Excellence (ICE). Download these breastfeeding resources for easy reference and education about many common breastfeeding questions. After meeting with a CLC or IBCLC®, you may be directed to download specific information from this list. Will Breastfeeding Change My Lifestyle? Getting to know your Labor and Delivery nurses through the Sweet Dreams Baby Bundles program and Lactation Consulting services can take a lot of stress out of becoming a new mom. Get to know our staff today! Greene County General Hospital’s OB department offers around the clock care. Anesthetists are available 24 hours a day, 7 days a week for epidurals, and if the need arises, highly-skilled surgeons are always on call to provide c-sections. The OB department provides a variety of services. Maternal perinatal labor and delivery care (antepartum, intrapartum, postpartum) and neonatal (newborn) care, including circumcisions and in-house phototherapy, are available. The OB department staff will arrange in-home phototherapy, if needed, to continue newborn treatment after discharge. Outpatient testing – including non-stress tests and contraction stress tests – is available. The department also offers patient education on topics such as breast feeding, infant care, bottle feeding, and safety and self-care. Pulse oximetry to detect critical congenital heart defects. Blood tests that screen for 43 inherited metabolic disorders of body function. Hearing screenings to detect for congenital hearing loss and to provide early detection and intervention to avoid delayed hearing and speech development. All staff members are CPR and Neonatal Resuscitation Program (NPR) certified. There are two NPR instructors on staff. Several OB staff members are certified in the following: Advanced Cardiovascular Life Support (ACLS), Pediatric Advanced Life Support (PALS), and Trauma Nursing Core Course (TNCC). In addition, many staff members are certified in S.T.A.B.L.E., a neonatal education program focusing on six assessment parameters- Sugar, Temperature, Airway, Blood pressure, Lab work and, Emotional support for family in regards to post-resuscitation/pre-transport stabilization of sick infants. The Sweet Dreams Baby Bundles program is an innovative way to help new parents have a healthy and successful first year at home with their babies. Expectant mothers in their first trimester can apply to enroll in the program and will meet with OB nurses as they complete their prenatal care with their providers. After delivering at the Hospital, families will go home with a new Pack-n-Play, a handmade diaper bag created locally by Four Rivers Resource Center, and a pile of supplies designed to help promote safe sleep and other healthy habits. 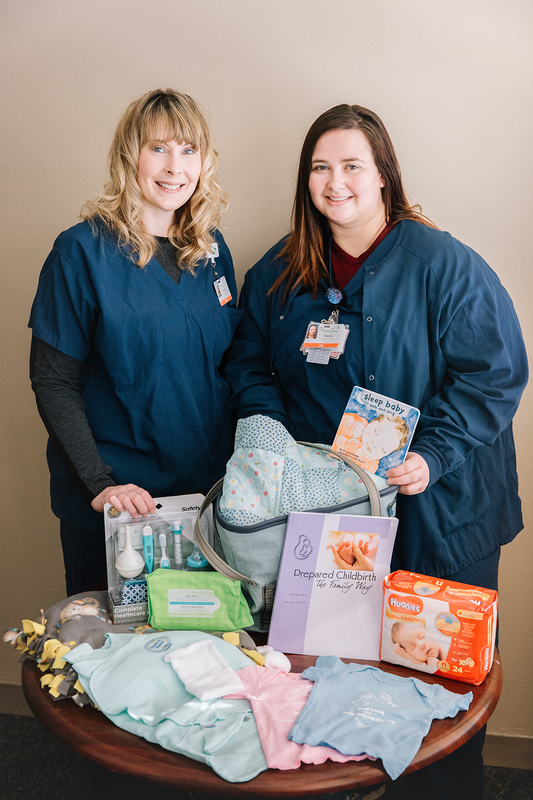 Certified Lactation Consultants and OB Nurses, Brooke Driscol and Tabitha Ferree, work with expectant mothers in the Sweet Dreams Baby Bundles Program. To learn more, contact us at 812-847-2281 or talk to your local, primary care provider. For a list of Greene County providers, visit our Primary Care Clinics page. Pregnancy is a special time in a woman’s life, and there are so many things to consider, including prenatal care, delivery options, and special issues like morning sickness.